I think we all have encountered ants. At times, at our place, we have been plagued with ants seeking to establish nests in our house. And when the ants are on the march, and climbing to higher ground, it is an indication that rain is on the way. What is interesting is that God provides some important instruction in the Bible about ants. Provides her supplies in the summer, And gathers her food in the harvest." God is here giving instruction to a lazy person. 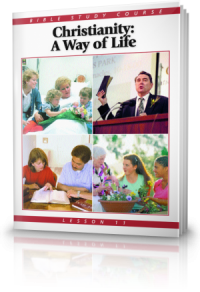 He says to the sluggard: go take a good look at the ants, study their ways, and from that study you will learn certain things which will make you wise. Though I don't consider myself to be a lazy person, I thought it would be good for me to study, as God has instructed, the ants that have plagued our house. I observed five wise principles in their behaviour which are very applicable to all of us. I want to share those five principles with you. Have you ever seen an ant that isn't busy doing something? They are always on the go. They may be building a nest. They may be out foraging for food. They may be gathering food. They may be on the move to higher ground, if rain is on the way. If you stand and watch them they are always on the move – doing something towards the preservation of the nest. They don't even rest on the Sabbath. I am being a little facetious. The Sabbath doesn't apply to them. The Sabbath was made for man – not the ant. 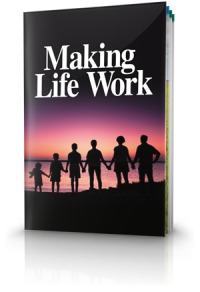 The point for us is – working diligently is a principle of life. If we want to achieve success in life, consistently applying ourselves to the task will bring the results we want. The ant does not need constant supervision, or a leader, in order for them to get on with the job. Each has a job to do. Some are specialised jobs. They simply get on with it. There is no prompting, no one shouting orders – each ant is self-motivated. We should be also self-motivated. We each have minds by which we are able to get on with the job at hand – without any prompting from others. This is not to say we don't need managers and supervisors in industry, business and commerce. But we each have our place in life. As human beings we have certain responsibilities: to look after ourselves, to look out for others, and to be a productive employer or employee. This requires that we be self motivated. We are to be people who takes the initiative and gets the job done. Just like the ants. Notice that ants gather food in the months – in the seasons -- when there is a harvest -- when food is available. They lay up store for the months when there is no harvest. Ants don't put off what they should be doing today until tomorrow. Tomorrow might be too late. If they wait, or are lazy, they will go hungry in the time when there is no food to harvest. This is a principle we can follow in many aspects of our lives. We could take our finances as one example. 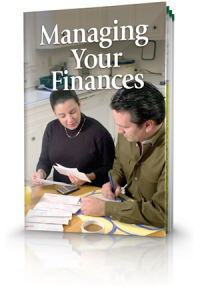 Financially, in the good times, we can do our best to save some dollars for those times when money is tight. We can, and should, apply this to our spiritual life. While we are able we should take the opportunity to diligently study the Word of God and lay up a store of knowledge and understanding in our hearts and minds which will take us through the times of trial and testing ahead. When we watch the ants at work, we see them working together as a group. They are not scattered all over the place, going willy nilly in all directions. When a food source is found, they all follow the same trail to and from the food source as they gather the food. There is a constant flow of communication between the ants as they pass each other. They are constantly in touch with one another. They don't work in isolation. They work together as a community. Notice that the proverb says the ants are a people not strong – each individual ant on its own is small and insignificant. Individually they could not accomplish much. But together they have strength in numbers, and they do accomplish an enormous amount of work together. They have a strong community spirit and work together as a community. I have to say I have been impressed with the persistence and tenacity of the ants which were trying to build their nests in our house. They don't give up easily. I get up in the morning and there is that stream of hundreds and hundreds of ants making their way into the brickwork of my house. I bring out a pest controller called pyrethrum and I spray them and the trail they are on. The pyrethrum stops them dead in their tracks. When that spray hits them, they simply stop moving. Many hundreds of ants are killed and the battle is won – for a time. But, next day, the ants are back, this time following a slightly different trail into the brickwork of the house. Then we attack them with a shower of boiling water. Well, that stops them in their tracks but it is only for a time. Next day, the ants are back. So I lay down a line of land mines across their trail – it's called Ant Dust – it's a yellow powder and one which you have to use carefully. Well, this stops the ants in their tracks. But you guessed it: overnight they have figured out a trail around the land mines and are coming into the house by yet another way. So what is the lesson here? Ants don't give up. And neither should we. This principle of not giving up is important to us as Christians. Like the ants attacking our home, we may have a daily onslaught of things which attack us spiritually. We respond to these attacks by using the tools God has given us. It doesn't come from hardware store in the form of yellow powder or a chemical spray. We have the pyrethrum of God's Word. "For the word of God is living and powerful, and sharper than any two–edged sword, piercing even to the division of soul and spirit, and of joints and marrow, and is a discerner of the thoughts and intents of the heart." When it comes to spiritual matters, the Word of God is very powerful. It is like the pyrethrum which stops ants dead in their tracks. For example, if something upsets us and we begin to think wrong thoughts about a person, the wrong thoughts are intent on building a nest in our minds. Sowe take the pyrethrum of God's Word and apply it to the situation. We are reminded that Godly love for others, no matter what the circumstances, will stop the wrong thoughts from taking hold on our minds, and our attitude. 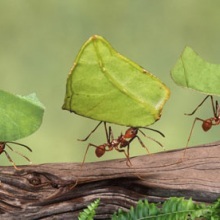 Ants don't give up easily, and neither should we, when it comes to defeating the wrong attitudes, thoughts, and actions which will harm us and others along the way. And we never give up the truth. We never compromise with the truth. We hold on tenaciously to the truth that God has revealed to us. God says: Go to the ant, you sluggard! Consider her ways and be wise.